As the founders of EnviroMin, we have 4 generations of farming and animal husbandry history in our family. Our love of animals and our interest in natural health solutions has had a profound effect on the development of EnviroMin products. In the last 20 years we have focused primarily on Nutritional Analysis and research to unravel common health issues in animals and humans. Our original mission was simple; Provide the highest-grade ingredients possible, always human grade and organically sourced. Make sure the minerals are full spectrum from a naturally occurring balance in nature, and source ONLY in the USA. Honesty, humility, and generosity have been the winning core values of everyone involved with EnviroMin from the beginning. Simple, effective, affordable. 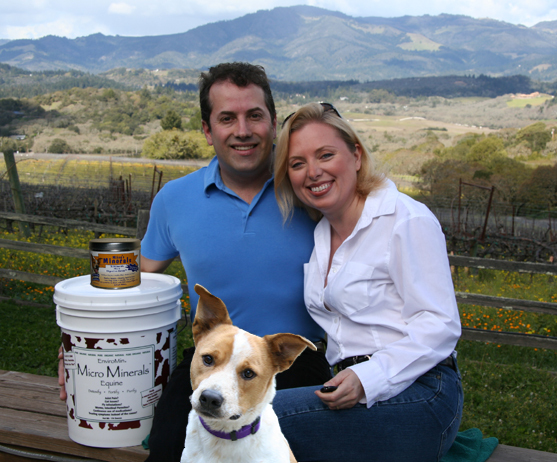 Our family of products began as Equine Micro Minerals, Mikey's Minerals, Phyto Z, and My Minerals. Now, we have combined the best ingredients all together into one type of product for each animal family providing simplicity and savings to our many loyal customers. That is the happy mission of everyone at EnviroMin, all the best in animal health, from rabbits to rhinos, and everything in between. We love our work! We are located in Northern California. Thank you for your inquiry we will contact you soon.